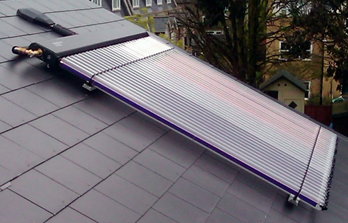 Chris Hayhurst uses a solar water heater at his house to lower energy costs and use hot water in his house heated up by the sun. Chris is a consulting manager for The MathWorks and partnered with the IoT team to use ThingSpeak to collect data about his system and use ThingSpeak’s built-in MATLAB app to analyze it. In this project, Adarsh and I are going to show you how to send alerts when events are detected in the data by using the MATLAB Analysis app. Chris’ home solar water heating system is an example of an IoT application that uses multiple sensors to collect data about a physical system. 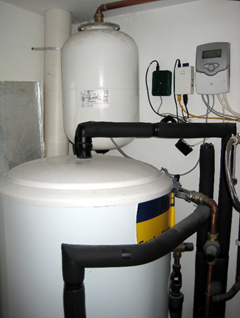 Chris’s water heater measures ambient temperature, stored water temperature, collector temperature, and pump speed. All of this data gets collect by ThingSpeak and stored in Channel 29633. On days when the stored water temperature exceeds 50°C (122°F), there’s no need to use other methods to heat the store of water to a useful working temperature. The pump should turn on only when the collector temperature is greater than the temperature of the stored water tank. If the pump turns itself on when the collector is cooler than the stored water temperature, valuable heat is lost from the stored water tank. Chris wants to be alerted of this condition, so that he can adjust the controller settings and increase the efficiency of the system. IoT systems like Chris’ solar water heating system, typically gather large amounts of data but often the real interest is in events that occur infrequently. The ability to take action when these infrequent events occur is important and requires a mechanism to detect such an event and launch an action. 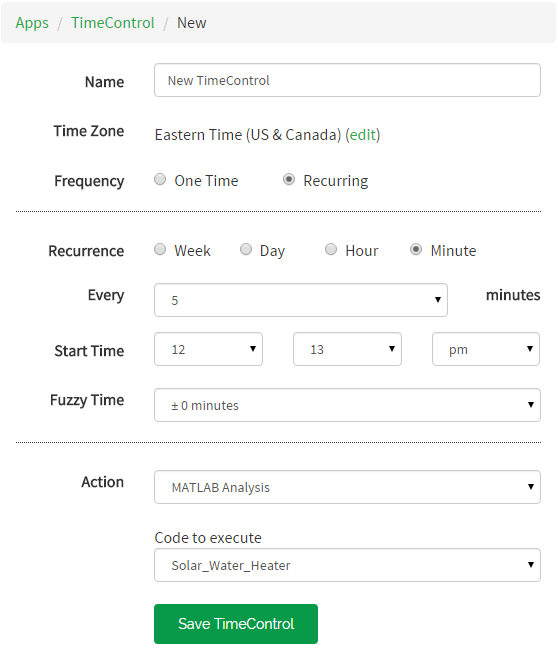 We are going to use the data collected by the solar water heating system stored in the ThingSpeak Channel 29633 and use the MATLAB Analysis app to detect a condition and alert him using Twitter. 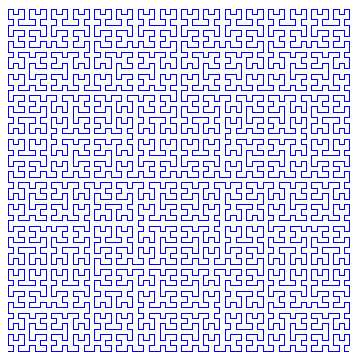 % Read data from fields 1, 2, and 3 from channel 26633. % Identify if pump is on while the collector is cooler. % is cooler than store temperature and the pump is on. Press the ‘Run & Save’ button to save the MATLAB Analysis App. The code above sets eventDetected to 1 every time the collector temperature is cooler than stored temperature and if the pump is on. Now that we can detect the event, we need to set the MATLAB App to be run on a schedule. To do this, we will setup a TimeControl to run our MATLAB code every 5 minutes. 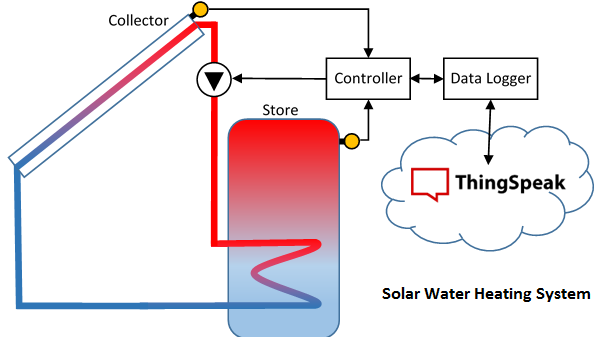 So far, we’ve created a MATLAB Analysis to detect events in the data being collected in the solar water heater data channel. We associated our MATLAB Analysis code with a TimeControl to have it run every 5 mins to check for our event of interest. To receive a notification via Twitter when the pump is on incorrectly, we can use MATLAB Analysis to send a Tweet. Be sure to replace <ThingTweet_APIKey> with your ThingTweet API Key. If the solar water heater pump turns on at the wrong times, you will get a Tweet to let you know! This example shows you the power of some of the ThingSpeak apps that we make available to you to experiment with. The MATLAB Analysis app is really powerful and can be used to detect events in your data and send alerts. 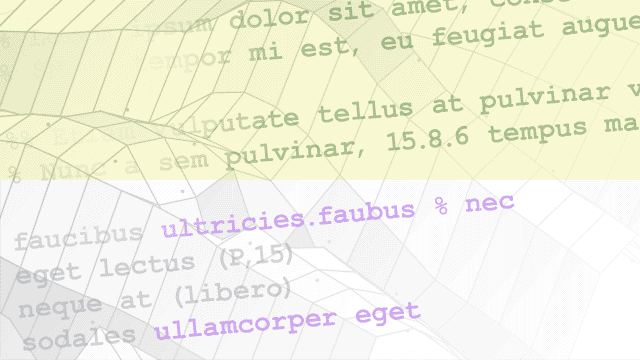 MATLAB Analysis can be used for all sorts of calculations and orchestrations of different web services. We could have also used MATLAB to control the pump. Combining data from fields in a channel and data read from a website such as a weather station or weather forecast. Hey, thanks! I'm working on monitoring crappy home internet, and want to be notified when it stinks. This is the ticket! Cool project. What are you learning about your Internet? Did you setup an alert, too? Sorry, the above should read "MATLAB license". 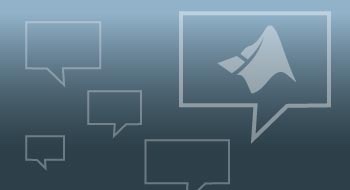 I've only signed up to a free ThingSpeak channel.